Morrie is the underdog. Diego’s top dog now. Does one find this jockeying with horse or pig or cow? Why does there need to be a boss now dogs don’t roam in packs? I fear dog organization sound logic sadly lacks. for a boss of dogs to calculate their every deed. How to be the chieftain in bringing down a doe. whose loud barking will predict the ring of the doorbell. or the biggest food dish, or bone with the most fat. And yet I love them both the same, in spite of any wishes. I pat them equally and put their bones in equal dishes! This entry was posted in humorous poem, Uncategorized and tagged FOWC, poem about dogs, underdog on January 6, 2019 by lifelessons. Interesting that they should switch off being top dog! Actually, Diego acquired the role when Frida died, but I like it just as much with your interpretation. A friend once had two cats, one a lap cat, and the other ignored him. When the lap cat died, the other became very friendly, a lap cat, and wouldn’t leave my friend alone! An interesting observation! 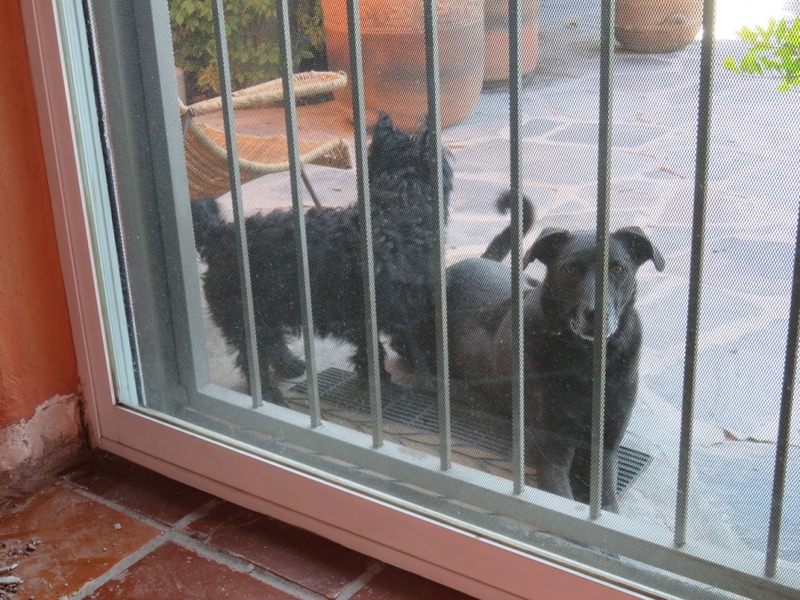 Diego (dog) adopted Frida’s (dog) personality when she died as well. Cat hierarchy is much different, but the poem is cute, though. Every one of my cats thinks he or she is the boss but generally it’s a benevolent reign, except for Annie who wants to be left alone on her throne!!! I’ve never had more than one dog, so I wouldn’t know, but my Barmalei is the main chief cat who disciplines the girls, albeit only verbally, rather than physically. My old cat has become so verbal as to be almost impossible to live with. And it is a grating voice unlike her earlier one! How old is she? My twins are almost 10, which is middle age in human terms, so Barmalei has a very pleasant baritone and his sister Beba – a nice melodic soprano. Little Pyshka mostly squeaks falsetto. I have a trio here! She is 17 and definitely has a steel-on-steel voice. Very annoying. Not a meow by any definition of the word. Now that I think of it, she had a strange voice when she was tiny. I named her Squeak because of her voice and later changed it to Birdie when she went from a squeak to a chirp. Perhaps her larynx was damaged before I found her and that creates this horrid sound now as well.